James picked up a crack after the accident. 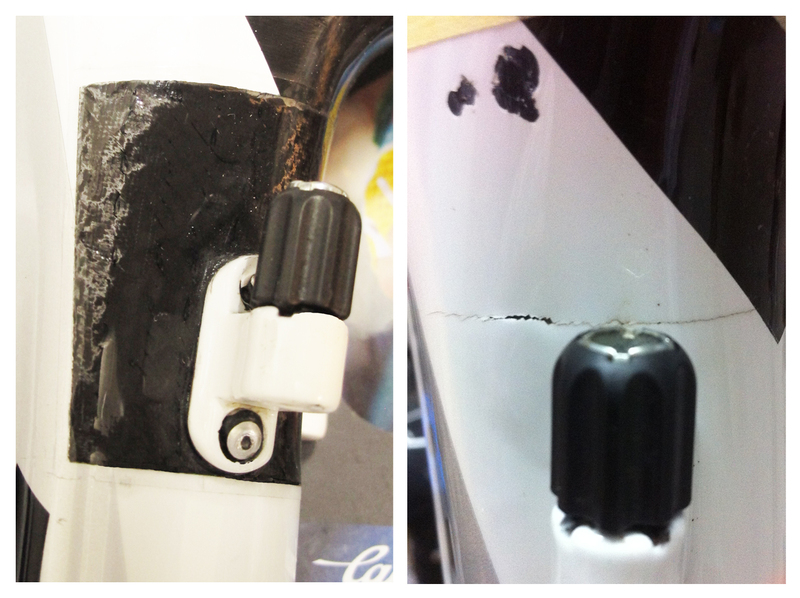 We found out that joint where down tube connects to head tube cracked. In other words, bonding compound failed while carbon fiber stayed intact. Bonding compound has been re-filled, joint has been re-enforced, cable stop re-riveted and additional bonding compound has been applied.